Classes integrate English speaking, listening, pronunciation, vocabulary, reading, and writing. Technology is integrated into all classes as well. While in class, students will have an opportunity to think about their education and/or career next steps. Our morning program has four levels, A-D, and a Reading/Writing Foundations class for students who need special help with reading and writing. Morning classes meet Monday, Wednesday, and Friday from 9:00am-12noon. 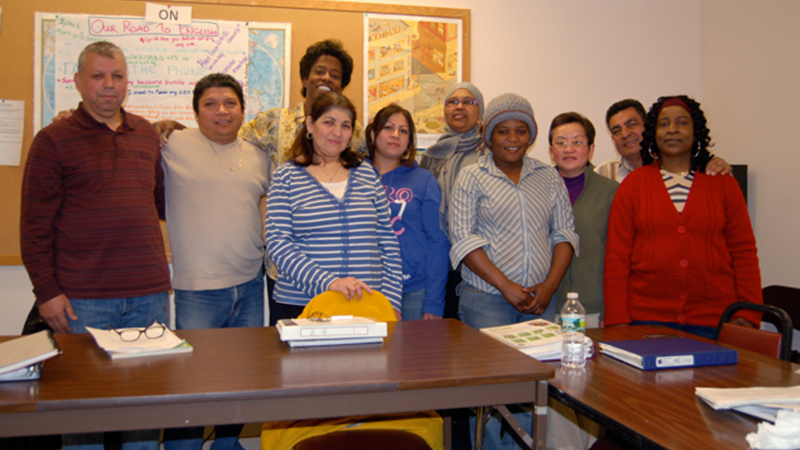 Our evening program has a literacy class, the Reading/Writing Foundations class, and five levels of core English, 1-5. Evening classes meet Tuesday and Thursday from 6:00pm-9:00pm. SCALE has a waitlist for classes. Sometimes the wait can be a year or more. When we have space in classes, we will call you or send you a letter asking you to come in for testing so that we can place you in the correct level class.